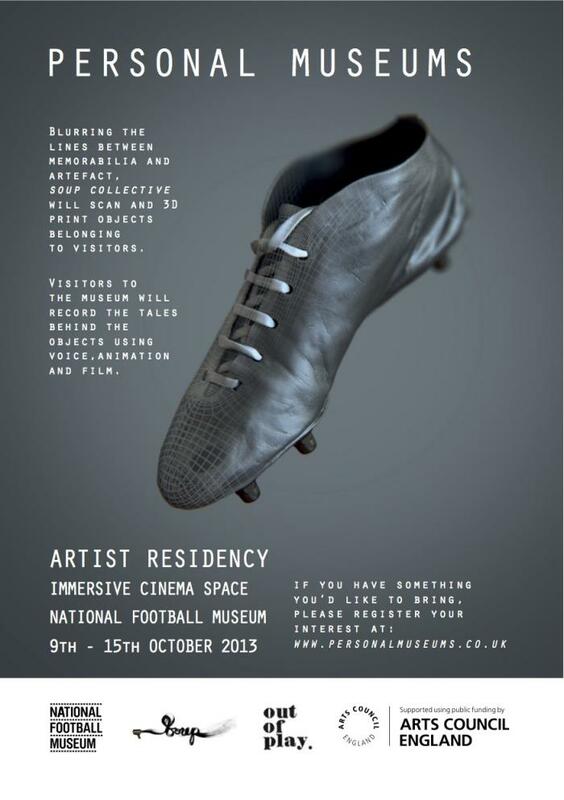 If you have an object with a story, help us to record its part in football history. As the Football League celebrates its 125th year, Soup Collective are exploring the idea that objects have their own tales to tell, developing a picture of the League from the perspective of the objects and the people who encountered them. Soup Collective will be resident in the museum from the 9th to the 16th October, 3D scanning and printing objects from the museum’s collection. Most excitingly, visitors to the museum are invited to bring their own objects which will be documented in the same way, helping to blur the line between artefacts and personal memorabilia. Delving into the imaginary, we will work with participants to create a film based on their memories of the object. The results will be presented in a six month exhibition at the museum, in which visitors will be able to select an object, automatically triggering its accompanying film in this miniature, Personal Museum.